Spring Crafts - Book Tickets! 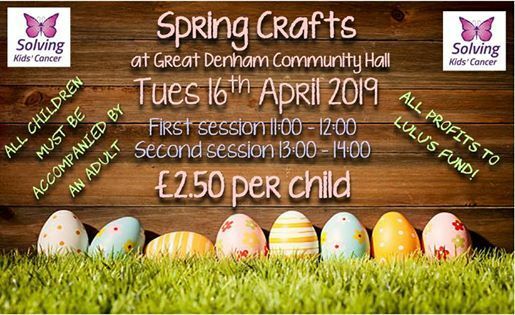 Come along and make some Spring and Easter themed crafts to take home. Also help make a community banner to support Lulu's fundraisers. Great Denham Community Hall will benefit the community by hosting events and groups every day of the week.